This Allied World Assurance health insurance company review explores Allied World Assurance Company Holdings, Ltd. The company maintains health insurance and reinsurance offices in the United States, Europe, and Bermuda. Allied World Assurance Company, Ltd. receives an “A” (“Excellent”) from A.M. Best; “A2” (“Good”) from Moody’s; and “A” (“Stable”) from Standard & Poor’s. Allied World Assurance Company (U.S.) receives the identical ratings from A.M. Best, Moody’s, and Standard & Poor’s. If you are thinking about comparing your Allied World National Assurance Company health insurance rates, start now! Simply type in your zip code to request free health insurance quotes today! The company maintains offices in Boston, Massachusetts; Atlanta, Georgia; Chicago, Illinois; Dallas, Texas; Farmington, Connecticut; Los Angeles, California; New York, New York; and San Francisco, California. International offices are located in London, United Kingdom; Hamilton, Bermuda; Dublin, Ireland; Hong Kong; Singapore; and Zug, Switzerland. Allied World National Assurance offers customized health care solutions to the world. 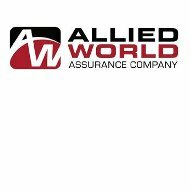 According to the client’s needs and location, Allied World National Assurance has the resources and staff to help. The company has worked with clients for 30 plus years in health care solutions. Combining competitive pricing, risk management, claims administration, and professional/management liability coverage, Allied World National Assurance believes it competes well in its markets (the United States, Europe, Asia, and Bermuda). Risk management is an essential element of health care coverage. Allied World National Assurance offers specialized resources to help hospitals, management care groups and organizations, medical offices, and outpatient centers manage risk and loss control. Medical professionals purchase malpractice insurance coverage from Allied World National Assurance Health Insurance Company. Senior centers and customers may purchase professional or management liability coverage and services. International health care organizations, or those with cross-border facilities, may benefit from the services of an international health care insurance provider. Prompt claims payment services, administration, and management are offered by the company. According to the company website, claims processing is a transparent process between the insurer and insured. According to the company’s 2010 annual report, Allied World National Assurance Health Insurance Company enjoyed a 9.6% net income increase (2010 vs. 2009) of $665 million. Book value rose 25% year-to-year, to $80.75 at year-end 2010. The company also reported capital reserves of $3.9 billion at the 2010 fiscal year-end. The firm’s invested portfolio was approximately $8 billion. The company is publicly traded (NYSE Symbol: AWH). Share price increased by 30%+ during 2010. Allied World National Assurance Health Insurance Company hopes to use its Bermuda-based headquarters to develop the Latin America markets. AWH reported increased net income for the first quarter of 2011 ($8.6 million), despite an increase in catastrophic losses around the world. The property & casualty unit’s operating losses delivered a loss of over $40 million due to Australian floods, Japanese earthquakes/tsunami, and New Zealand’s earthquake. The expense ratio increased to 31.7 in 2011 vs. 30.9 in Q1 2010. Premium income declined year-to-year: $334.9 million in Q1 2011 vs. $338.3 million in Q1 2010. The company’s investment portfolio showed a declining return year-to-year: the portfolio increased by 1% in Q1 2011 vs. 1.8% during Q1 2010. Under the company’s share repurchase plan, more than 969,000 shares of AWH were repurchased at an average price of $61.91, or about $60 million. Share repurchase programs are generally positively perceived by shareholders. Management buys back shares in the open market when it believes the company’s shares are undervalued. The company announced plans to merge with Transatlantic Re (NYSE Symbol: TRH) on June 12, 2011. The goals of the merger include continued shareholder strength (combined resources of about $21 billion, with shareholder equity of approximately $7 billion; and total capital of approximately $8.5 billion). The companies agreed to exchange stock to complete the transaction. Shareholders of Transatlantic receive 0.88 shares of Allied World national Assurance for each share held. The present CEO of Allied World National Assurance will sit as CEO of the combined companies. The current CEO and president of Transatlantic plans to retire in 2011. The holding company of the company was formed in 2001. In today’s world, time equals money. Compare your health insurance rates with speed and ease by requesting competitive quotes from other health insurance companies. Start by typing in your zip code now!